Recently, we had a customer ask about rewebbing some Porsche belts for a project he is working on. He also requested some information on how we re-web and pictures. Well, we followed up his order with a write-up about the process and some pictures of the belts throughout various stages of the project. He was kind enough to add them to a forum post that follows his project, and our re-web post can be found here. Thank you so much for your kind words, Benjamin! We absolutely love getting to be a part of passion driven projects. We've also been focusing some of our attention on adding "direct fit" or "vehicle specific" belts to our online offering. This week, we officially launched a selection Porsche belts that can be found here. Keep checking back over the next few weeks for additional Make, Models, and Years. 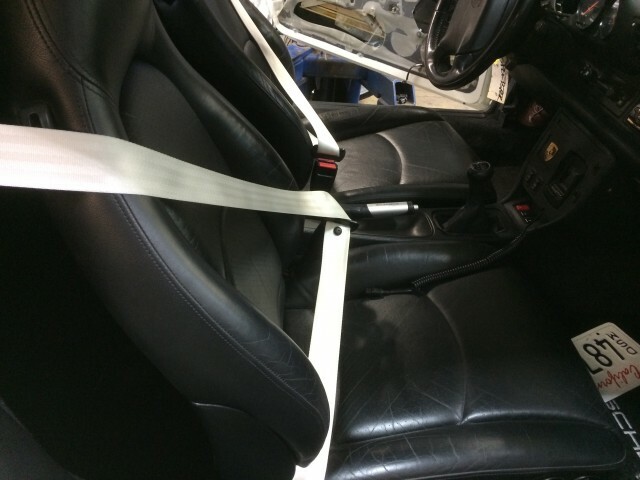 Here's the belts installed in Benjamin's Porsche 993. We can't wait to see the completed project!